Hello guys, recently i am so cencerning on beauty and anything related to it, including body and health of course. Well wait, i found a food that very easy to be found, affordable and helping me to cut my unecessary about 500kkal every meal? Yass.. 2 hours before meals (for me it's 10 am and 4 pm) i ate Soyjoy. Okay there are plenty of variant of Soyjoy but wait! I found something new! Almond and chocolate, what a perfect combination. I love both of em sure. It helps a lot to reduce my craving, cause FYI you will be so obsessed with food like a zombie when you are nursing lol. Fiber, vitamins (A, B1, B2, B6, E, Folic Acid), Magnesium, Protein, and Isoflavon are included in every bite. So by eating those 150kkal which is so rich by vitamins etc, it helps me to reduce my big and unecessary apetitte to eat more. And it works best with a good diet and exercise of course. 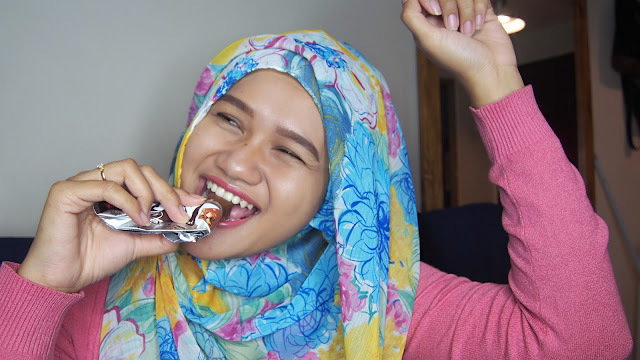 First impression to this new Soyjoy was the taste is good and it's just nothing too much with it, with the package, the sweetness, the chocolate and almond, it's just enough. Nothing too much like how people in France live their life, Ca Suffit. 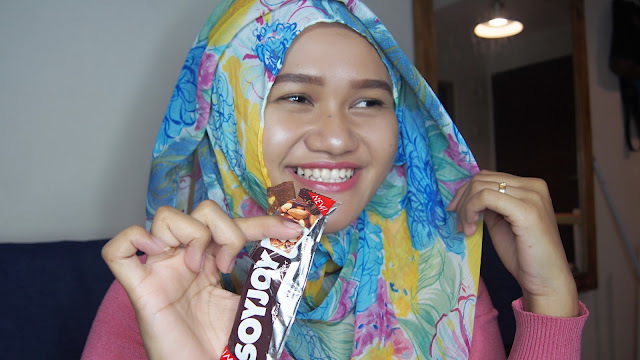 This phrase describe this Soyjoy Almond and Chocolate at it fittest sentence.